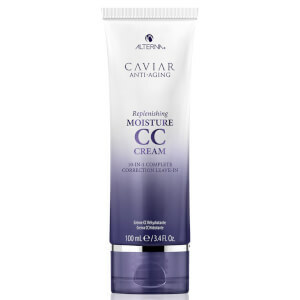 Caviar CC Cream – or “Complete Correction” Cream – is a miracle leave-in product that delivers 10 benefits in one easy step, leaving hair perfectly polished. 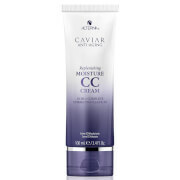 This 10-in-1 formula can be used alone or as a foundation for the layering of other styling products. 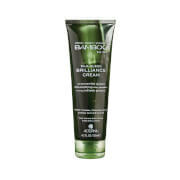 Apply evenly to clean, towel-dried hair & style as desired. 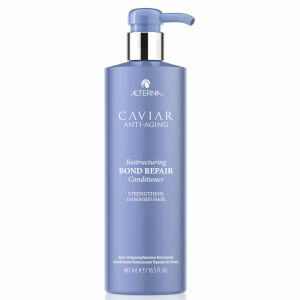 Can also be used as a finisher on dry hair for added perfection. For external use only. Avoid eye contact. Water/Aqua/Eau, Cetearyl Alcohol, Cyclopentasiloxane, Dimethicone, Cyclohexasiloxane, Propanediol, Glycerin, Panthenol, Polyquaternium-55, Behentrimonium Chloride, Algae Extract, Caviar Extract, Tocopheryl Acetate, Polysilicone-15, Ascorbic Acid, Phospholipids, Helianthus Annuus (Sunflower) Seed Oil, Chamomilla Recutita (Matricaria) Extract, Honey Extract (Mel Extract), Citrus Limon (Lemon) Peel Extract, Superoxide Dismutase, Polyquaternium-11, Polyimide-1, Saccharomyces/Magnesium Ferment, Saccharomyces/Copper Ferment, Saccharomyces/Silicon Ferment, Saccharomyces/Zinc Ferment, Saccharomyces/Iron Ferment, Butylene Glycol, Amodimethicone, C11-15 Pareth-7, Laureth-9, Trideceth-12, Isopropyl Alcohol, Alcohol Denat., Potassium Sorbate, Caprylyl Glycol, Disodium EDTA, Citric Acid, Phenoxyethanol, Methylisothiazolinone, Fragrance (Parfum). I bought these with alterna caveier series shampoo. For someone who doesn't use hair conditioner, this itself is enough to condition my hair, makes it feel soft and locks moisture in. 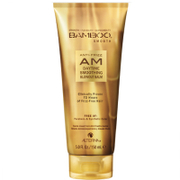 Love this stuff in combination with the alterna shampoo! After two years I'm still loving this product. Light weight, conditioning, makes for easy blow dries. I only wash my hair twice a week so it's great that it doesn't make my hair 'gunky'. It says a lot that, as a 'product junkie', I haven't found something I like better after using it for so long.